The Paris climate talks currently underway have provided an ample opportunity for world leaders to meet along the sidelines (or not, in the case of Putin and Erdogan). South Asian leaders from Afghanistan, Pakistan, and India have taken advantage of the timing, even if they are unlikely to make any measurable degree of progress on important and intractable issues. After this summer’s abortive peace talks, Ghani’s attempts to rebuild Afghanistan’s relationship with Pakistan stalled. As Ankit Panda wrote recently, “Ghani’s misguided attempt to forge a workable relationship with Pakistan cost India and Afghanistan a ‘lost year’ that could have otherwise seen real strategic progress.” Panda points to the fact that Afghanistan and India have renewed arms trades–specifically four attack helicopters–as evidence that Kabul may be moving on. Pakistan, however, can’t really be left out of the pursuit of negotiated peace in the region. Afghanistan views Pakistan as the key to pushing the Pakistan-based Taliban leadership to the table. Sharif also met with Indian Prime Minister Narendra Modi on Monday. Not much has been reported as to what was discussed. 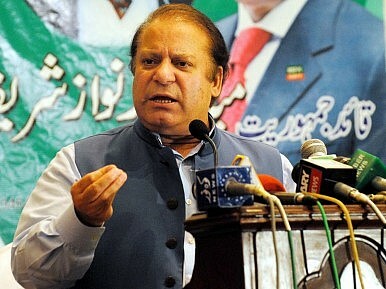 Sharif told Pakistani media that “Pakistan desires better bilateral relations with India.” As the Wall Street Journal’s Niharika Mandhana pointed out, recent attempts to ameliorate the tensions inherent in the India-Pakistan relationship have been unsuccessful. The two countries’ national security advisors were to meet in August, but the meeting was canceled over disagreements as to what would be discussed. Modi and Sharif passed on the opportunity to meet during the UN General Assembly in September. Both India and Afghanistan seem skeptical about Pakistan’s advances. Nothing said–that has ben reported so far–is new or different. It’s going to take more than a few minutes talking on a couch in Paris to patch up regional relations.